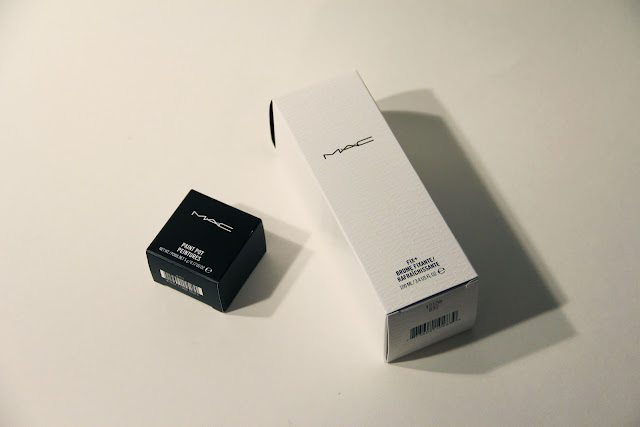 So I got this MAC purchase about a month ago, well exactly a month ago but I never got around to getting it online. Which in this case it is good, because I had a great amount of time to test out these two products and get my thoughts together on my true feelings about them. MAC's packaging has ALWAYS be impressive to me, it is so simplistic and sophisticated. Makes me so happy. 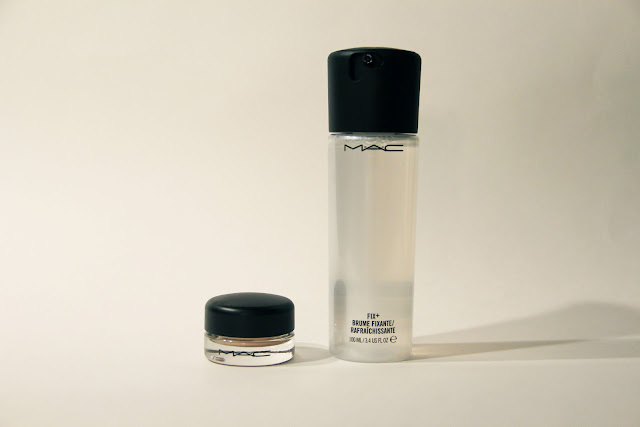 The product I was most excited for was the MAC Paint Pot in "Bare Study". Before this product I had tried out two other cream shadows, Maybelline Color Tattoos and Benefit Creaseless Cream Shadows. I had expected this to be on the creamy side like the benefit shadow. But in reality it is a lot like the Maybelline Color Tattoos, but a bit creamier. At first it was a huge turn off. But now I am getting more of a use out of it. 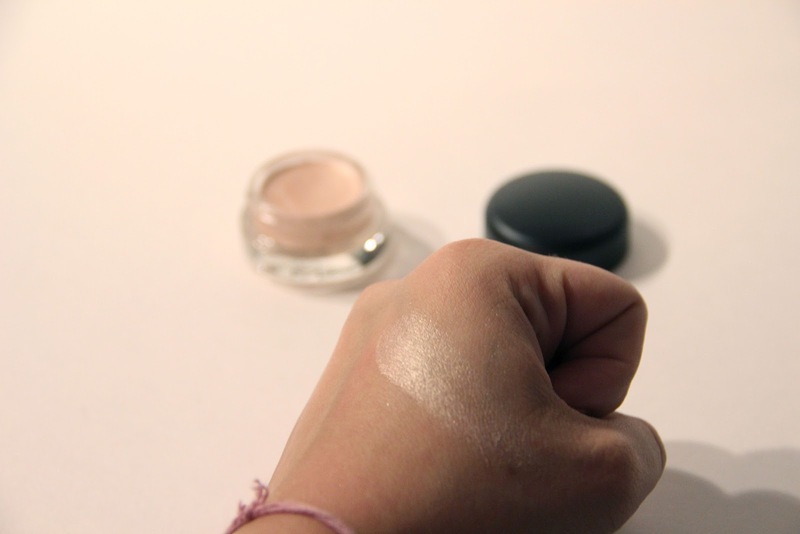 Unlike many of the cream shadows I own this works as a gorgeous highlight. It is subtile, but can be built up to a nice pigment. But I do prefer Benefit, and even the Tarte cream shadows I have more recently tried. I'm glad you agree! Which others do you have/recommend??! I will definitely have to try this! I was upset that I got the larger bottle and then I didn't like it, so I am willing to try anything to make it work! Thank you for the tips! And yes! If you like the Maybelline formula you will love paint pots, they are just like them, only smoother, and creamier!! right??! I'm glad I am not the only one!